Every may, all of Europe gets together to watch this show... Everybody has a favourite Eurovision song... Download this (free) app to listen to the radio stream. think you know all songs, states, and years? well, great! you can now compete in the guessing game of the ESC Player. have fun!!! what did we change in this version? 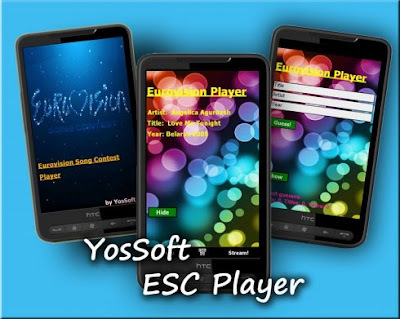 * Scores are updated automatically now in YosSoft website. * the app requires TCPMP to play the stream. if you don't have it, the app downloads and installs it. Europe, start guessing! .net cf, (w)vga, windows mobile 5 and up TCPMP player.